Like the rear brake hub, the front brake hub also contains two sets of bearings. Assembly is similar to that of the rear, although there are a few more parts that make up the completed hub. 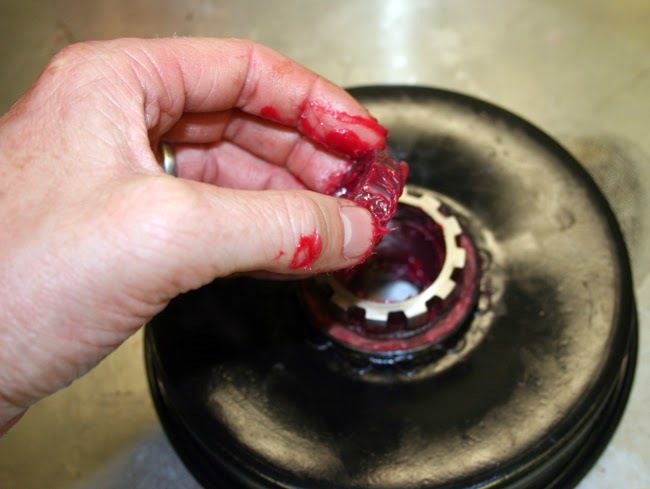 Again, you'll first want to clean all your parts, making sure to clean out the grease passages on the bearing sleeve. 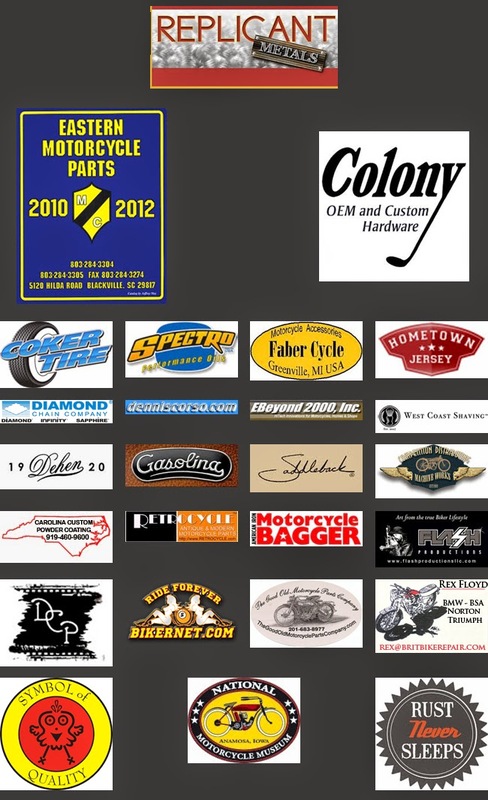 Check the diameter of each bearing with a caliper and replace any that are worn. Honestly, bearings are cheap and you should just plan on replacing all of them, not just the worst of the bunch. 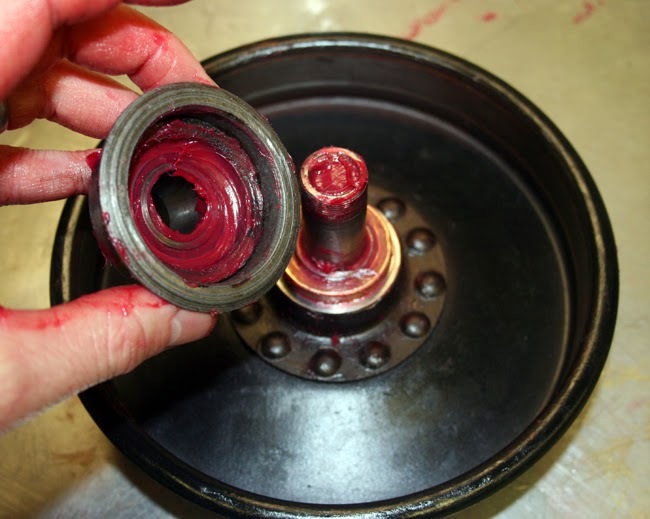 Also, remember that the bearings should be assembled into a dry hub to check for proper fitment. Properly sized bearings should spin smoothly without binding and side to side play on the axle sleeve should be minimal. The first step is to seal the right side of the front brake hub with a felt washer. 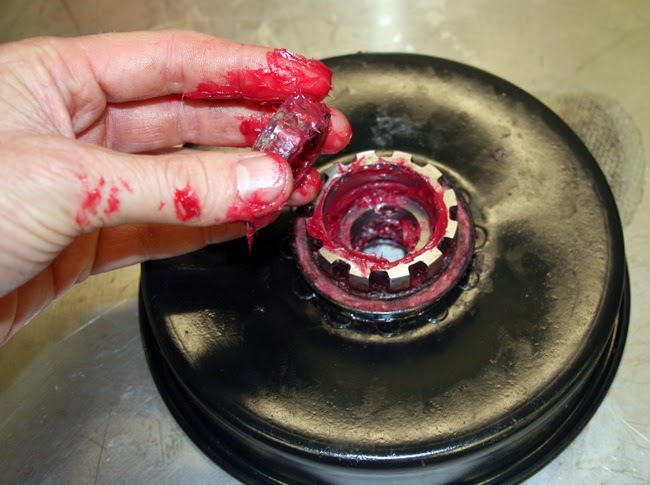 This is accomplished by packing grease into the felt washer and then sliding it onto the end of the axle sleeve. Now comes the bearings. Fit the roller bearings into the cages with plenty of grease. The first bearing set goes into the hub with the open end facing the center. Up next is the bearing spacer. Make sure to pack grease around the outside of the spacer to fill in the gap between the spacer and the wall of the hub. The spacer is followed by the other bearing set. Again with the open end facing the center (against the bearing spacer). Lastly, a bearing plain washer is placed on top of the last bearing set. With the bearings in place, carefully slide the axle sleeve through the hub. 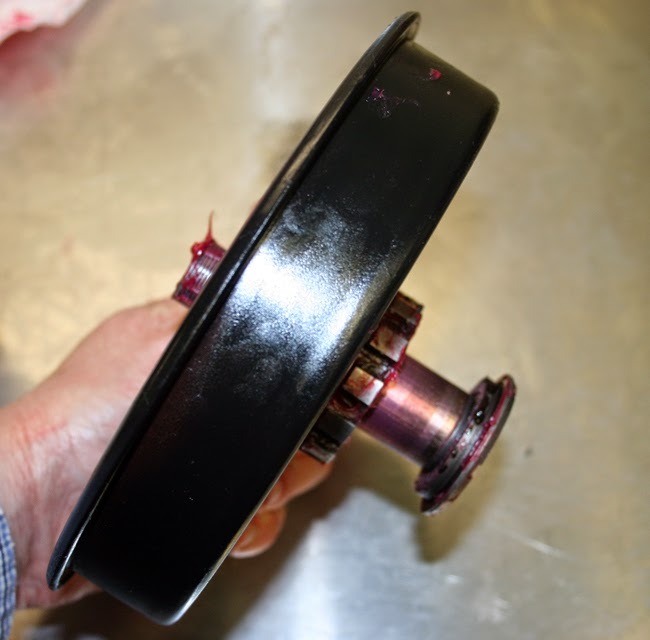 I found it easier to remove the felt washer from the axle sleeve and install it into the hub first, so that it didn't pinch when seating the axle sleeve. 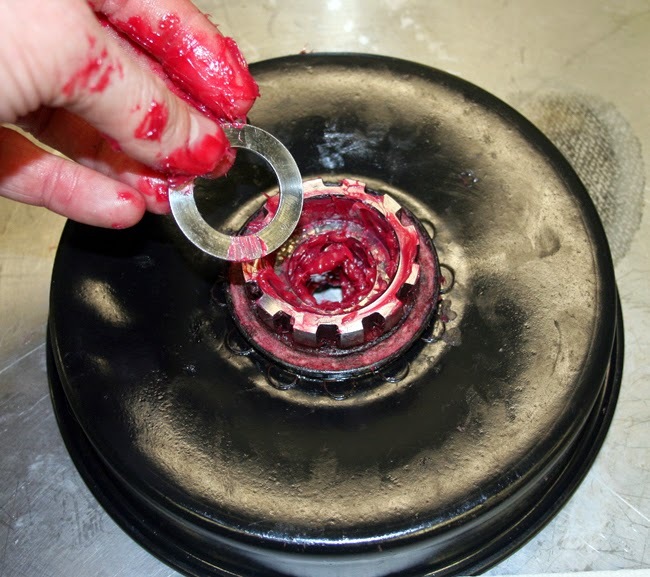 Carefully set the drum down on the closed side, making sure that the axle sleeve remains fully inserted. 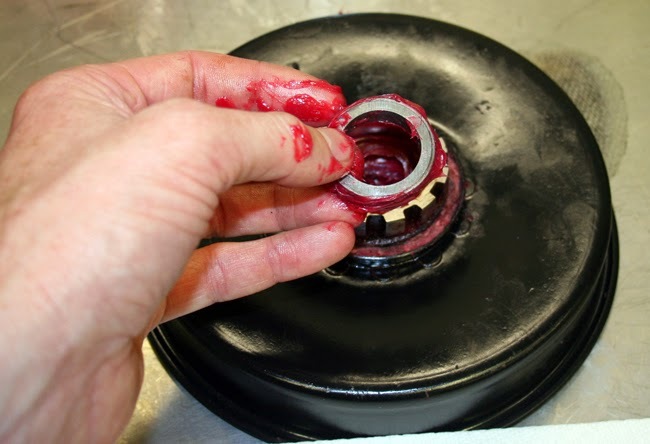 A hub lock ring is then installed in the groove which is about halfway down the length of the axle sleeve. This holds the axle sleeve, along with the bearings, in place. Directly on top of the lock ring goes a thrust washer. There is a recess inside the thrush washer for the lock ring, so when it is properly installed, the thrust washer will be perfectly flush. Both sides of the thrush washer have the recess, so it can be installed in either direction. 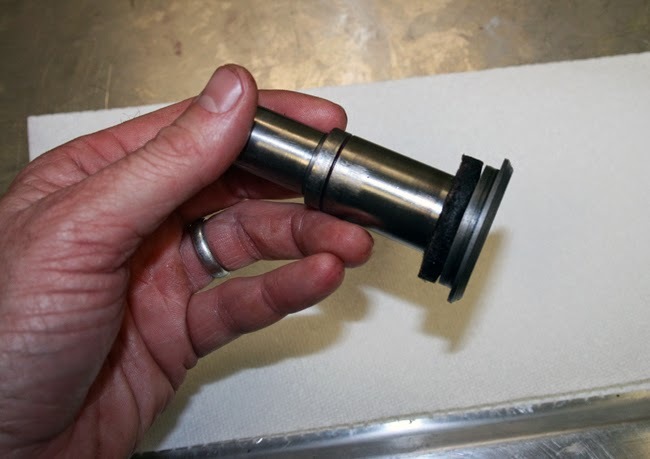 The next piece is called the bearing sleeve and it uses two felt washers to seal the hub from dirt and water. The larger of the two felt washers fits inside of the sleeve, while the smaller felt washer fits on the narrower top section. 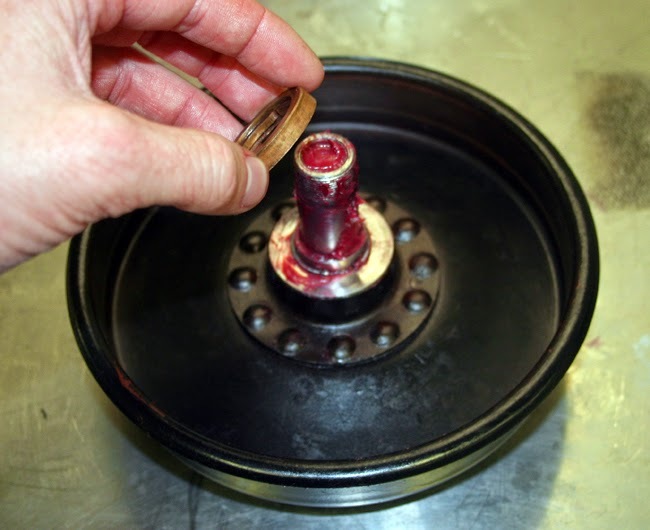 As with the felt washer on the axle sleeve, it is easier to install the top felt washer into the backing plate and insert the bearing sleeve into it. At this point you can install the backing plate and brake shoes, completing your brake hub rebuild.